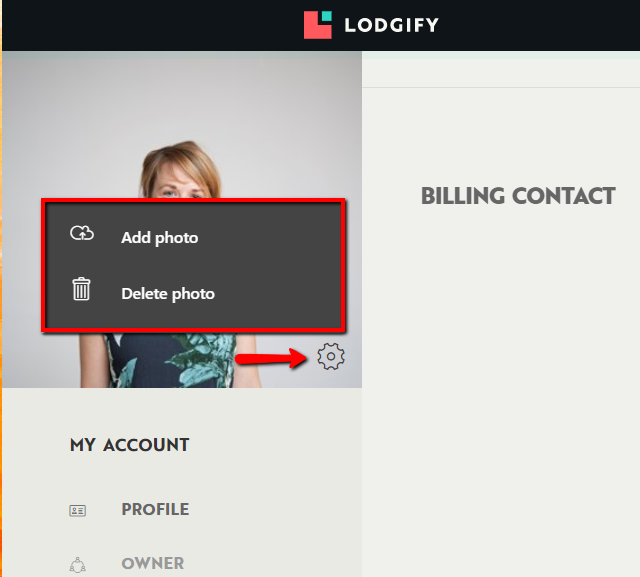 If you want to edit your profile picture and account profile to give your guests some more details about yourself and give it that special personal touch, go to your Menu and select My Account. Change profile picture To upload your profile picture or avatar click on the little wheel icon and select Add photo. 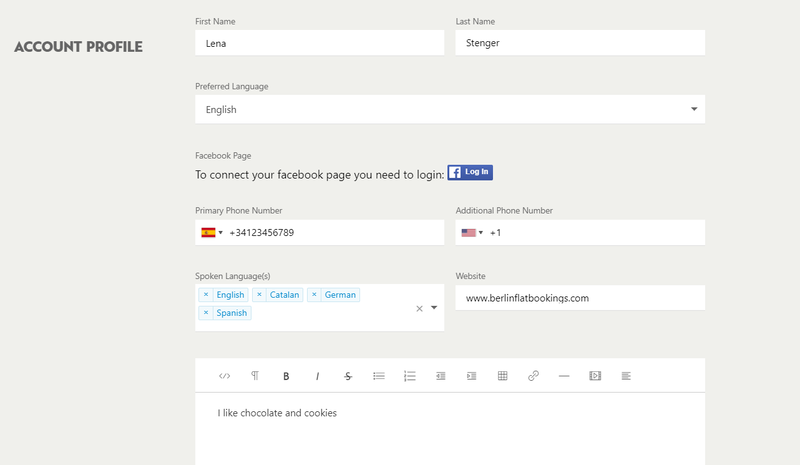 Edit account profile Enter your phone number, preferred language (💡 Note: This is the language you want to use your account in), indicate your guests which languages you speak and write a few words about yourself. Once you have done your changes, click Confirm. 💡 Note: This information appears in your default Contact page on your website, visible to your guests.